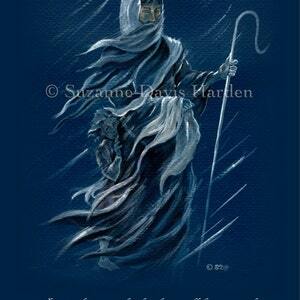 "They that sow in tears shall reap in joy. 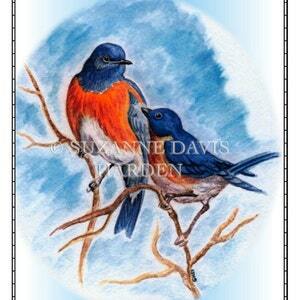 This beautiful card features a print of an oil painting I made of my grandmother's gardener Richard. He and his wife Florence were great family friends and posed for many pictures for me. I painted this portrait in oils on a masonite wood panel when my children were little. 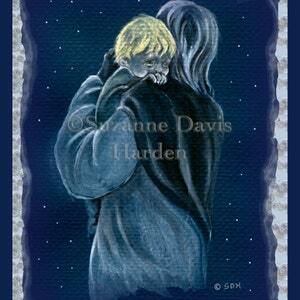 It was originally an illustration for a children's book about God's measureless love for each of us called "I Am Loved," written by a friend. 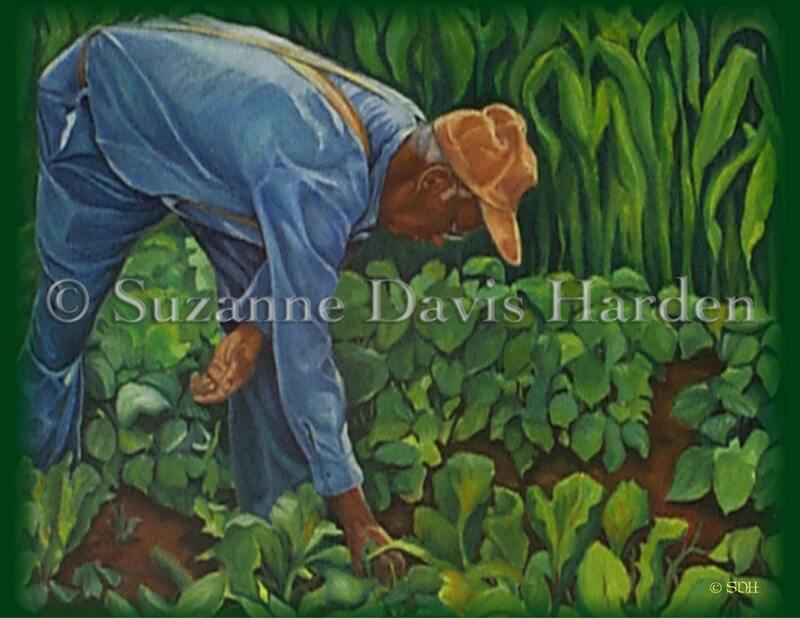 Often we sow many seeds in this life and we may see little results for all our labor. We may work very hard to make our dreams come true and sometimes it can seem as though they never will. Sometimes we can become so discouraged that we just give up hope altogether and toss our dreams away in disgust, thinking they were never going to happen anyway. But this beautiful promise from scripture gives wonderful hope and assurance to those who work and work and see no light at the end of their tunnel, who see no progress toward the fulfillment of their dreams. 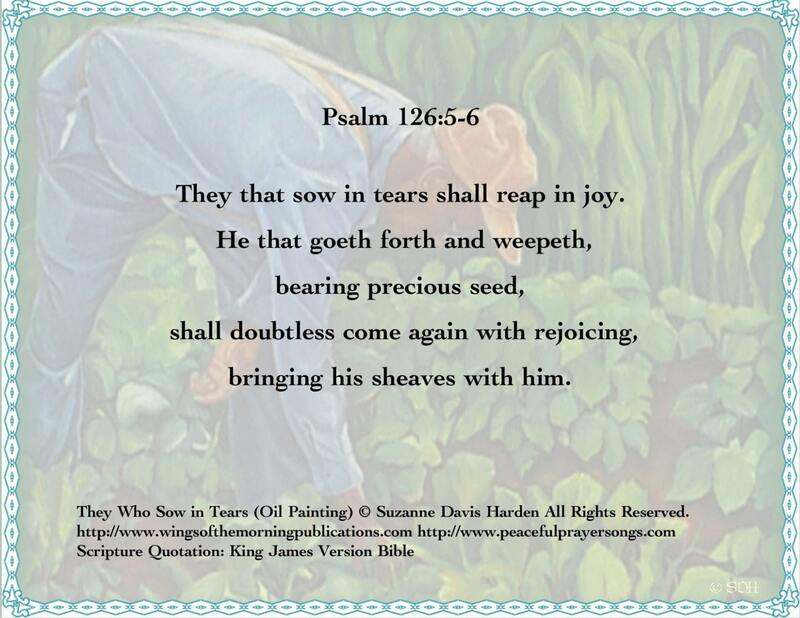 They who sow in tears shall surely reap in joy, the bible promises! Believe that promise because heaven and earth will pass away, but Jesus said that God's word shall never pass away. God never lies. "He keeps every promise forever." Psalm 146:6. 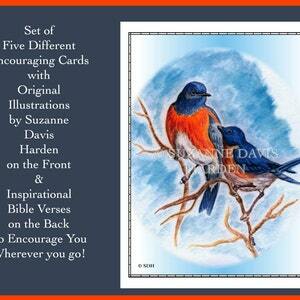 This 5 1/2" x 4 1/4" inch Encouraging card is printed on sturdy, high quality recycled card stock and printed with environmentally safe, archival quality inks. 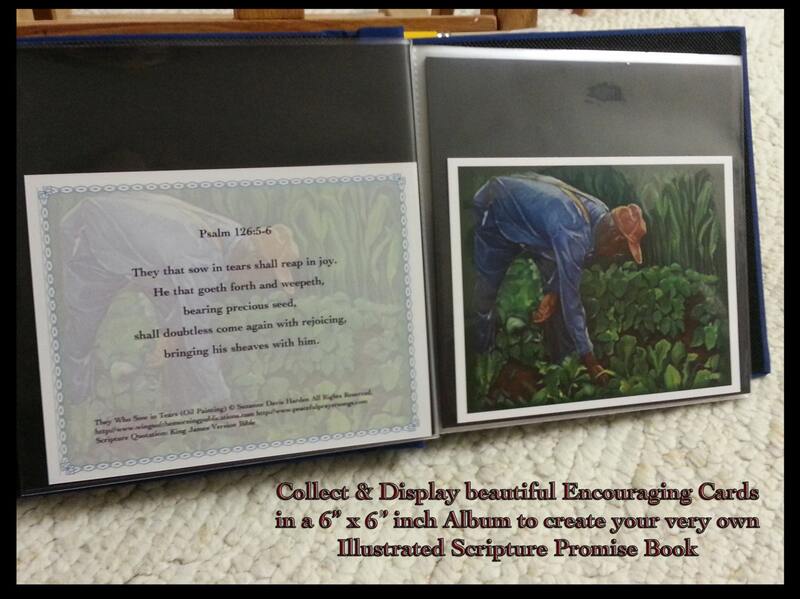 The card is beautiful enough to frame or you can collect all of the encouraging cards from my series and display them in a 6" x 6" album and create your very own illustrated Scripture Promise Book to inspire your faith.